Are juicing benefits really that amazing? Hey, Yuri Elkaim here. 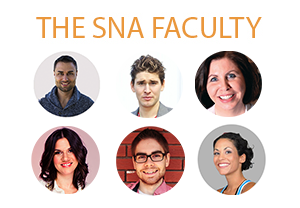 Welcome to episode 10 I believe we’re on today of the Super Nutrition Academy health class. Today we’re going to be discussing a very controversial subject, for whatever reason, it’s still controversial and that is the topic of juicing. The reason I’m bringing this up today is because I’ve recently come across some interesting stuff on the good old interwebs which I found slightly appalling with respect to health recommendations, with respect to juicing, so that’s what we’re going to be discussing today and before we get into the meat and potatoes, the news of this episode, if you will, I want to share a personal story with you. Now I’ve probably shared this before. I never really ate fruits or vegetables growing up, so it was pretty much processed foods the whole way through, and I suffer from an autoimmune condition and a bunch of other health issues-eczema, asthma, digestive stuff, you name it, I pretty much had it. Now at the time, my mom had bought a Jack LaLanne Juicer off the shopping channel several years ago. I was in my teens, and we had this juicer sitting on our counter at home, and I don’t I ever used it. I think I may have made a carrot juice once, and that’s pretty much all I remember using the juicer. Growing up with this juicer sitting on the counter for a number of years, and it wasn’t until about 10 years later that I finally uncovered the power of juicing, and we ended up, you know, I was obviously on my own at the time, so I ended up buying my own juicer. It was a Green Star Masticating Juicer, and I just went to town with this thing. I’m going to tell you, just from anecdotal experience, that juicing done the right way transformed my health, and it can do the same for you. I want you to understand this. Juicing is very, very powerful, because essentially what we’re doing is…if you look at the recommendations for how many fruits and vegetables we’re supposed to be eating on a daily basis, I believe it’s anywhere from let’s say, 5-10 servings. Most Americans are getting 2 servings per day. That’s obviously a strike against us in terms of health. The beautiful thing about juicing is that you can pack in easily at least 5-10 servings of fruits and vegetables in a juice, and you can just enjoy that in a glass. It’s a very, very convenient way-other than the time it takes to juice, which can vary depending on the type of juicer you’re using; but generally when I’m making my juice in the morning-I’ll give you the recipe in second-it’s takes me about 20 minutes and then another 5 minutes for clean up. Let’s just ball-park it and say 30 minutes. Sounds like a lot of time, but again it is very well worth it with respect to improving your health and having more energy, improving your skin and weight loss, the whole bit. So why is juicing so beneficial? Well, basically as I just mentioned, if you’re putting in kale, celery, cucumber, apple, carrots, whatever you’re putting in the juice you’re able to extract a huge amount of nutrients into a very concentrated form, and when I see stuff on the web that discredits that, it gets me a little bit peeved, because the big reason why I think some people have issues with juicing-there’s two big reasons, and I’ll tell you those in a second; but I think it’s very irresponsible for dieticians or other “experts” to discredit the power of juicing. First of all, let’s look at the two reasons why some, and I’m going to call out dieticians here, because they tend to be the worst discrediting, and we can put doctors inside that category as well. The unfortunate part with the way dieticians and medical doctors are taught is a very dietetic approach is very western thinking, which means that it’s all quantitative as opposed to qualitative, so they’re only concerned about calories macro and micro nutrients that you’re getting on a daily basis. Very, very seldomly are they thinking about the quality; and I apologize if there are any dieticians listening to this, and you don’t agree with me, but having experienced this first hand with countless dieticians time and time again, it can be very frustrating. Anyways, the two biggest reasons that the western educated dietetic approach people have issues with juicing it’s really for two reasons. First of all, juicing by nature removes the fibre from what’s being juiced, so if you’re juicing vegetables and fruit or whatever you’re juicing, you’re removing the fibre, because that’s essentially what juicing does. It extracts the juice out of the vegetable or the fruit and discards the fibre. First of all, there’s a bit of a problem there, and there can be a problem if you go crazy on juicing fruit, which I first of all don’t recommend you do. I don’t recommend juicing fruit in general, for the main reason that if you do so, you’re going to be drinking straight up fructose-obviously not 100% fructose, but you’re drinking a high glycemic drink which is not going to be buffered by protein or fat or in this case, fibre. If you have blood sugar issues like 50% of the people in North America do you probably don’t want to juice with fruit. The reason for that is because we talked very quickly about fructose and glucose and the difference in one of the first episodes, and your liver needs to convert fructose to glucose or pretty much into glucose or if it can’t do that in a timely fashion, as a by-product it moves fructose into triglyceride formation. That whole process is very rate-dependent which means if there is too much fructose put in your liver at the same time, your liver is not able to keep up with that process, and that’s why it will start moving some of that fructose metabolism toward triglyceride formation, and that’s why drinking a huge amount or a glass for instance or unbuffered, unfibred which is higher in sugar, especially that’s coming from fruit can be a bit of a kind of a contraindication. At least that’s not what I would recommend. The only type of fruit that I recommend juicing with is for instance, like a pear or an apple-just add a little bit of sweetness to some of your vegetable juices. Other than that I don’t recommend juicing with fruit for that simple reason that it doesn’t have the fibre, so it can spike your blood sugar. It can lead to high fructose to triglyceride formation in the liver, and that’s not something that you want. Now, having said that, the other issue that a lot of dieticians have with this is…did I…maybe I just hit two in the same thing there. I probably did, yeah, I think, okay. Yeah the fibre issue and the blood sugar issue. Those go hand in hand. That seems to be the main issue out there. There is a difference. I want you to understand that what I’m talking about here is not making smoothies. If you have a blender, and you’re putting stuff into the blender, you’re essentially making a smoothie where you are retaining all elements of the foods-the fibre, the protein, the fat, all the nutrients. Everything is still in there, so that’s great. 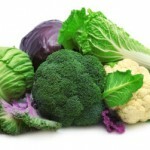 Again, you’re allowing yourself to get a ton of fruits and vegetables in, in a very simple and easy to consume format. So smoothies, in my opinion, in a lot of cases are actually better than juicing unless you’re going to be juicing a lot of the greens-a lot of the green leafy vegetables or some of the other vegetables that are a bit tougher to work with, in which cases juicing might be a little bit better. We’ll talk more about what I recommend in terms of specific foods in a couple minutes, but I also want to mention one more thing before I get to this episode’s news…is this notion of nutrient absorption. The beautiful thing about juicing is that it pretty much pre-digests the vegetables. I’m just going to use the vegetables going forward, because I’m not juicing fruit. Instead of you chewing celery, swiss chard, kale and trying to digest that, part of the problem…here’s part of…there’s a little bit of problem with plant-based foods. Plant-based foods have a cell wall, which is very tough for the human digestive system to break down which means that we don’t, in a lot of cases the full potential of the nutrient spectrum in that food. The beautiful thing about juicing and smoothies, for that matter is that that cell wall is broken down, because we’re discarding the fibre, and we’re getting the essence of that vegetable in juice form. So if you want to have kale and unlock it’s true potential healing powers, sure you can eat kale in salad or as a wrap or anything else, and that’s great, and you should do that, but I believe, and it’s my own experience that you can get a lot more benefit in a quicker and easier and shorter amount of time, just by juicing, because now you can move, you can discard some of that plant cell wall which is essentially the fibre, and…or the cellulose and get right to the nitty gritty of what is in that amazing vegetable. So the nutrient absorption that you’re getting is much greater when you juice cause you’re able to bypass having to break down the cell wall, the cellulose of that particular plant food. That doesn’t mean that you should juice all of your vegetables, but I would recommend on a daily basis if you can add one green juice into your day it’s probably one of the best things you can do for your health. It’s actually one of the things that I do first thing in the morning most days of the week unless I’m missing some produce, and I can’t do it, is after I’ve done a bit of work in the morning, I come back upstairs, I crank out the juicer, and I get juicing with my green juice, and it’s a great way to start the day, and it sets the tone for the rest of the day so nicely, because you’re not starting off the day with coffee or anything else where you have that…it’s just like a downward spiral “Well, I started the day on the wrong foot. Who cares? Now let’s just eat whatever.” You start off the day with a green juice, I guarantee you your day, it’s just so much better. You have more vitality, more energy, more focus, and again, you’re riding that wave of momentum. 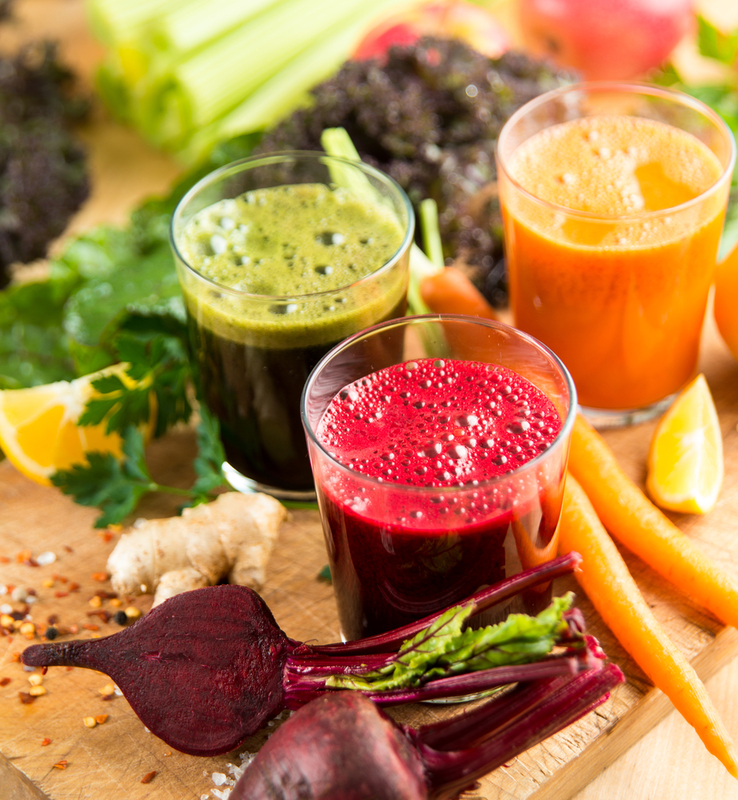 Are these the Real Pros and Cons of Juicing? Having said that, let’s look at some of the current news that has spurred this episode. Again, I’m gong to make reference to a specific article that was written by a dietician on fitday.com, which is a really good site for tracking calories and specific nutrient intake, and it’s a great site, and I think everyone would be of benefit to use it. True, although I don’t necessarily think you’ll enjoy a green juice if you don’t enjoy vegetables, but nonetheless that is a pro. “When making juice, you can add fruits and vegetables that are about to spoil. That way you don’t waste produce.” Okay. Sure. That’s definitely if we can do that that’s awesome. So those…so that is it. 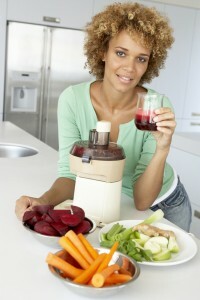 Those are the only two pros to juicing according to this article. Let’s stop right there. Other than the fibre, what else are you not getting in a juice, in a fresh pressed juice? Okay, if you have an answer for that, just let me know.” Further into this bullet, “The skin and the pulp of the fruits are where the fibre and most of the vitamins and minerals are housed, and if you discard this you are throwing away most of the beneficial portions of the produce.” Again, you’re really only discarding the fibre, and believe me, I don’t know anybody who’s added daily juicing into their life who isn’t a thousand times healthier as a result. Con #2: “Juicers are expensive.” Okay, yes, I agree with that. Again, depending on the kind of juicer you have, they can run from 50-400 bucks depending or more. Again, it’s an investment into your health. You’re either investing in your health, or you’re paying for it down the road. Number 3: “No matter where it comes from, juice is a concentrated source of calories. This is especially true if you use more fruits than vegetables in your juices.” Okay, yeah, sure, yes, and I agree with the fruit part, so that’s part of the reason I don’t recommend juicing with fruit, because it’s not necessarily the calories, but it’s the sugar content that can lead to a spike in insulin, which then obviously stores more of those calories, so, anyways. Con #4: This is the best one. Okay? And the… oh man, this is funny. “The juice is not pasteurized, which could be a food safety hazard. Wash your hands and all produce before preparing juice. Drink juice within one week…” If you’re letting a juice sit for one week, you shouldn’t make it in the first place. “…preferably on the same day that you make it. Wash the juicer with hot, soapy water after you juice.” This last point was just hilarious, because what they’re saying here is that the juice isn’t pasteurized, therefore it’s dangerous. Well, what’s the difference if you ate those fruits and vegetables in their whole format? The fruits and vegetables are still not pasteurized. There’s nothing that changes between the juice state and the whole food state other than the fact that the fibre’s gone. How does that change the safety of the foods? It’s a little bit ridiculous. This leads me to the next point which is…anyways, I just wanted to mention this article, because I thought it was an absolute farce, and whoever wrote this (I’m not going to mention her name) was a complete disaster of a writer, and these points are just absolutely just terrible, and the thing is fitday.com sent this out in a newsletter, and I remember seeing this in my inbox several months ago, and if hundreds of thousands of people are seeing this what kind of disservice are we doing to their health? Yeah. That’s what I think about that. Now anyways, what I do want to talk about with respect to the pasteurization part is the difference between bottled and fresh-pressed juices. Now we talked last episode about health trends, right, and these better for you foods, and this whole movement toward healthy options. Now if you live on planet earth, you’ve probably gone to the grocery store in the last couple of weeks, and you’ve probably seen an entire wall full of these bottled juices by Odwalla or other companies, and again, they offer the quick fix solution of “Hey, get all your fruits and vegetables. Get all those nutrients in a bottle and just sip it back,” and it’s very alluring. It’s obviously very appealing. The problem that not many people understand is that that juice has been pasteurized which means that it is no longer raw. It’s been heated to kill off any problems within keeping stuff hanging around that long. 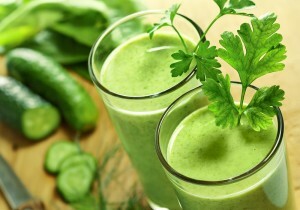 So the real benefit of juicing is when you make it fresh, using fresh ingredients, and you drink it within the same day. If you start going to the supermarket and buying these bottled juices that have been sitting on the shelf in the warehouse for who knows how long, the value you’re getting from those juices is significantly diminished. First of all, when you pasteurize something, you essentially kill it. It’s no longer raw. 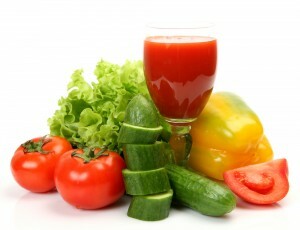 It no longer has those properties, the enzymes and that life vitality that a lot of raw foods have. Secondly, when you pasteurize or heat something, you destroy a lot of the vitamins and minerals in that food or the juice. Right of the bat, we’ve lost 3 really important qualities of a raw, fresh pressed juice. The other thing is when you pasteurize the juice you’re essentially drinking coloured sugar water…sugar and getting in some vitamins and minerals to a lesser extent. What you’re really getting is a concentrated form of sugar. For me, there really is no difference between drinking a bottle of Tropicana orange juice or any other big name package juice versus one of these so called “green juices” that are ready to go. There really is no difference for me. You go to Starbucks and you can grab a coffee, you can grab a bottled water, you can grab one of these small Odwalla green juices. Don’t fall into the belief that that green juice is an actual fresh pressed green juice. It’s not, unless you’re going to a juice bar or some restaurant where they are freshly making the juice right there and then with fresh ingredients you’re better off not going for the juice, because again, you’re going to be ingesting a huge amount of fructose. If you’re drinking coke or you’re drinking one of these fruit juices, I really don’t believe there’s much difference. Obviously the coke has no nutritional value. The juices have a little bit of nutritional value, but again, it’s just this huge amount of concentrated sugar which I would highly recommend against. Hopefully that makes sense for you, and that’s why this point about the juice not being pasteurized in this dietician’s article was a little bit ridiculous. The second thing I want to mention about this is juicing has this allure of this alternative, weird cleansing thing, so people advise against it. “Don’t do juice cleanses or don’t do any kind of juicing if you want to lose weight, because it’s not healthy”, you know, whatever. Although I wouldn’t recommend just living off juices for the rest of your life, adding in a fresh pressed green juice on a daily basis is probably one of the best things you can do. It’s a lot better than drinking coffee or anything else. First of all, if we’re taking nutritional advice from our doctors, we’re in big trouble, because most medical doctors receive no more than about 10 hours of nutrition education over the whole course of their training. So taking, in my opinion, nutrition advice from a medical doctor is like getting car advice from a dentist. I mean literally that’s how far opposed we are with respect to those 2 things. Doctors are great at what they do. They know how to diagnose and prescribe disease, and that’s their stuff, but when it comes to nutrition, no way. Again, a lot of these articles that come out in the newspaper or magazines or on the websites that talk about juices or cleanses-are they healthy; are they dangerous? Again, they’re going to be turning to dieticians. They’re going to be turning to doctors, and they’ll be asking them for quotes. A lot of times you’ll hear…these doctors will say, “Well, there’s no medical research or there’s no literature or studies showing the benefits of juicing,” and to be honest, there probably aren’t or aren’t that many, and the reason for that is because nobody is doing studies on them. It’s not that there’s a ton of studies showing contraindications against juicing; it’s just that there’s no studies being done on juicing, so obviously there’s no medical research on juicing. It’s a little bit of a ridiculous argument. No one’s bothering to do these studies, so don’t even use that as an excuse. Having said that, there are millions of anecdotal successes. As I mentioned earlier, there is nobody I have ever come across who has added juicing into their life-and I’m talking about fresh pressed juices, who has not benefitted from more energy almost instantaneously, easier weight loss, better looking skin, better health, better blood sugar levels, you name it. It’s just a far superior way of ingesting nutrients into your body. That’s what I think about juicing. If you agree with me or not, I don’t really care, but I’d love to hear your feedback. You can join me on the blog. You can tear me apart or agree with me- SuperNutritionAcademy.com/blog. Just look for this episode and you can let me know your thoughts, and as always let your friends know about the podcast. Okay? More people need to know about this, and heck, if you know a dietician, I’d love for them to hear this as well, because hopefully this will sink in a little bit. Yeah, so that’s it; that’s what I think about juicing-tremendous benefits. I don’t think there should be much debate, but again, don’t use fruit; stick to vegetables. Actually, before we end, I’ve got to give you my juicing recipe. I just forgot. Thanks for reminding me. Here’s what I do in the morning. Most days I wake up around 5am, do some work, and that’s when I generally get my best stuff done, then I’ll come back up to the kitchen around 7, crank out the green juice; and the green juice will contain a whole head of kale, about a quarter of a cucumber, 6 or 7 stalks of celery, a 1-2 inch cube of ginger, 1 small carrot, 1 apple, so that’s a little bit of sweetness there, so that’s really where I stop it, in terms of the carrot and one apple. Everything else is greens and a whole handful of parsley. Then I’ll also squeeze in about half the juice or the juice of half a lemon. So we’ve got kale, a cucumber, one small carrot, one small apple, parsley, ginger, and lemon. Then I strain that through a strainer, because sometimes my juicer leaves these chunks I don’t really like drinking that, so I strain it through the strainer, then I’ll actually add in a bit of cayenne pepper. Cayenne pepper-very, very good for you-really, really good, so I’ll put in some of that, and it adds a little bit of fire to the whole thing in conjunction with the ginger. That is my morning go-to smoothie. I’ll rotate through the vegetables quite often, so one day I’ll use kale, the next day I’ll use swiss chard, the other day I’ll use collard greens or spinach just so that I’m not eating the same thing over and over again, and I’m going to give you two tips for juicing greens that you must have if you want to make them palatable. First of all, use celery. That needs to be the biggest component of the juice. If you just go straight up juicing kale, parsley, it’s going to be very intense. The celery is going to naturally dilute the juice, and it’s going to give it a lot more palatability in terms of being able to drink it. However, even with the celery, the juice is very bland unless you add in some citrus. That’s why you want to add in about half of a lemon and juice it, just kind of squeeze the juice into the juice itself. The lemon brings out the flavour a thousand times more, and it goes from a bland juice to something that’s actually really good, so using celery and lemon are very, very important so that you can actually enjoy the green juice as opposed to cringing as you chug it down. And the other thing is you want to sip it. Don’t just shoot it back. If you’re having a morning coffee, you’re not just going to shoot it back, you kind of enjoy it, the flavour, or the temperature or whatever it is-same with tea; you’re not going to shoot it back But green juice or even smoothies for that matter, because they’re not hot, we tend to just shoot them back. Take your time. Remember, with the juices, you’re going to be getting some unfibred sources of sugar in there. You want to just sip it, allow you’re body to work through them, take another sip. Don’t go crazy. Take it easy with this stuff, okay? Crazy in the sense of don’t chug it all back at one point. Now the recipe I just gave you for the juice, that’ll give you about a litre of green juice, and usually I’ll get that done for Amy and I in the morning, and that’ll be our juice for the day, but if you’re on your own, that’ll be 2-3 servings that you can have throughout the earlier part of the day. I wouldn’t recommend leaving it siting in the fridge for a couple days. If you don’t drink the whole thing within the first day, just chuck it. It really prompts you to drink it as soon as possible, because the goal with this is the freshness. Give that a shot. If you don’t have a juicer…there’s a lot of great juicers out there. I personally use the Greenstar; however, if I were to buy a juicer again, I’d probably buy one of the Omegas-one of the vertical juicers. Even if you went to your local hardware store and bought a $99 juicer like the Juiceman or whatever it is, you can still get some really good results out of those lower priced juicers. That’s some very simple tips, and then obviously one thing I would recommend-not necessarily from the juicing standpoint, but…is a good blender. If you’re going to be juicing, great, but I think you’ll get more use out of a good quality blender. That’s why I recommend VitaMix. VitaMix is the best thing ever-best 500 bucks that I ever spent. 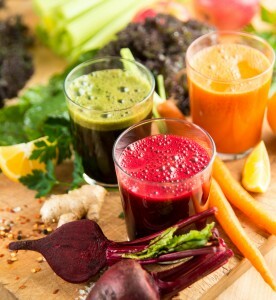 The problem with the blender, though, is that if you’re going to be doing things like beets or carrots or celery-things that are really tough and fibrous, you’re really going to want to drink that, so that’s where juicing would come in a little bit more. You’re going to juice the carrot; juice the celery. You can add in the leafy greens to a smoothie, no problem, but it’s those really tough fibrous vegetables that you’re going to really want to ingest too much in smoothie format. With that said, I think you’re ready to go now. You have my understanding of juicing. You understand what it’s all about. You got a really great juicing recipe you can make in the morning or whatever part of the day, and you got some really cool juicer recommendations. That’s all for this episode. Thanks for joining me again. Do not forget to leave a rating or review for me on iTunes. I really appreciate it, and I’ll see you in the next episode. Super Nutrition Academy is the ONLY nutrition course that makes it easy for everyday people to understand the complex relationship between nutrition and health. 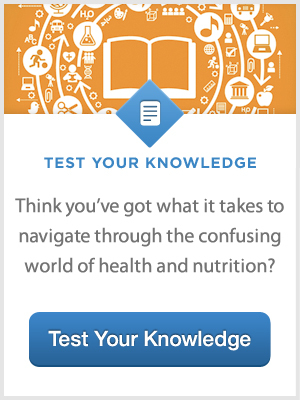 If you're tired of all the conflicting health information out there and want a clear-cut, evidence-based understanding of the nutrition and health topics that matter you, then get started today. 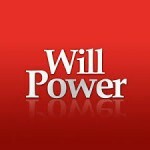 Great site, just got on your podcasts.. super thrilled about this resource. I have a question about adding stuff to my juices after. I typically juice whatever I have in the fridge, no real recipe but generally stick to loads of greens, stems, limited roots but always beets. I recently started to add a tspn of Chia Seed Oil because it’s awesome. Does the oil negatively impact the quality of my juice in any way, assuming I’m using more omega-3:omega-6 ratio oils? Not at all. That sounds fine. Chia seed oil is great. Thanks Rob. Hi Yuri! I found you 3 days ago, and I Love everything you say on your podcasts, I am becoming a huge fan! I just finished listening to this podcast. I was given a NutriBullet for my birthday, and I love it and use it everyday to make a protein smoothie with berries, VegaLite protein, coconut milk and chia seeds. How do you feel about “jucing” or more probably making vegetable smoothies with the NutriBullet? Thanks Sara. As long as you enjoy the smoothies that’s all that matters. It should be fine for making smoothies with green leafies. If I made a juice of strictly carrots, beets, pineapple, apples (all high sugar stuff), but ate a salad prior to that…. would that negate all the worry about juicing with high-sugary stuff? Really enjoying the podcasts. Had to come back and read the text on this one to make sure I got it right. For about a year I was drinking a litre of fruit and veg juice for breakfast (trying to get healthy) until my triglycerides reached such an astronomical level and I had to cut my entire diet back to basically salad, some lean meat & fruit (whilst I was simultaneously taking lipid drugs, blood pressure meds etc – shout out to your next podcast). Since December (when I stopped drinking the juice) not only has my triglycerides dropped almost to the “too low” mark, I’ve lost 25% of my fat body weight and have HEAPS more energy (its 5:30am here, that would have been unheard of before). That’s awesome Matt. Thanks for sharing your results. Thanks for this great resource Yori! I’ve been listening to Angelo Copela at ‘Latest in Paleo’ which has been an amazing podcast and have moved on to what you’e been talking about. All spot on and informative. As a fellow juicer/blender guy I love how you broke down the ideas about juicing fruit and the high fructose/insuline spike associated with it. I think this is the one main problem that I’ve noticed and run into both personally and professionally. People think if it’s fruit it must be healthy but they are getting a high dosage of straight sugar with no fiber to slow down the digestion and get high insulin spikes. I look forward more great podcast in the future. Great to hear Zander. More great stuff coming your way. good stuff! I’ve been getting your newsletter for a while. Just some thoughts on the Omega Vert juicer, its not that easy to clean and also makes the juice sort of pulpy. I got the Omega 8006 which is mostly used for wheatgrass but I found it does great with all leafy greens, especially stuff like cilantro, mint, basil etc. and it handles ginger, celery, cucumbers and apples well, you just need to cut them up to fit into the feed tube. The juicer is so easy to clean that it has become my favorite in that department and the juice is not too pulpy. You mentioned not liking chunks in your juice, for really pulp free juice I use the Norwalk 275 which is very labor intensive but makes the best juice hands-down it takes forever to clean though. On the other hand juices made with that one do last for several days if kept in an air tight mason jar in the fridge. You can juice for a couple of hours and have the next three days of juices ready to go in the fridge. Just grab and go. You mentioned the Vita Mix, have you ever tried the K-Tec Blender? I got both and prefer the K-Tec as its digital and you can just set the program and let it go. Just some food for thought. I got your eating for energy book and like your recipes there, you are doing a good thing all around. Keep up the good work! Thanks for the juicer recommendations Beatrice. Haven’t tried the K-tec blender but I’ll check it out. Love this podcast, Yuri. Shared it on Facebook, as I do most of them. 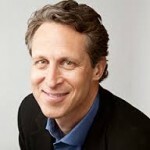 It is interesting, the conventional “wisdom” of, say, the article on Fitday.com, is that Americans are very sick. Time to get away from conventional “wisdom”. I have the Power Grind Pro- quite a bit more expensive, but the best juicer I have had. Hello Yuri, great information in this episode. 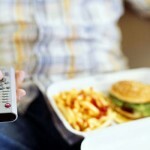 It is unbelievable the misconceptions of people about food in general. This comment you make just blew me “most medical doctors receive no more than about 10 hours of nutrition education over the whole course of their training”. Can you share how you found that out ? but honestly I am absolutely not surprised, disgusted yes, but not surprised. I love your work and look forward to complete the 12 modules. Enjoyed reading your post, thanks for sharing the info :)… just one little question for people who suffer from leaky gut and oxalates in leafy greens, I’ve personally suffered from leaky gut syndrome as a result of adrenal fatigue, so from experience I can tell that juicing leafy greens hasn’t always felt beneficial and boosted my energy opposed to the times that I’ve had my adrenals under control and my gut has been in a normal state. So my question would be if you have any advice on how to reduce the negative effects of oxalates, tannins and etc or how people who are prone to leaky gut should be juicing ? Should these people be even juicing? Thanks again for the great blog! Thanks for the information. I started giving my husband smoothies and to my surprise he likes them (this is my meat and potatoes man). He wanted one for miday at work. Awesome Sally. Thanks for helping ONE more person. I liked reading about your juising article but right at the end I got confused about the problem with blenders whether drinking the high fiber in a smoothie was good or not? I’am thinking of getting a VitaMix. I finally bought a juicer and having been making green juices daily for the past week. I prefer to make my juice when I get home from work at 5 pm and my husband requests his glass of juice every night and drinks it a few hours later (alas another converter!] I have the Omega 8004 (a masticating juicer) because I was interested in juicing a lot of leafy greens and it is not loud at all. I love the juicer and find that it only takes me 15 minutes to make the juice and clean up, I juice while I watch the news on TV so the time goes by quickly. I used to think juicing was bad because of removal of the fiber, but I am now all the wiser and agree that it has excellent nutritional benefit. Thanks! Loved this page on juicing! Thanks Yuri. I found Rene’s question rather important. I have come across Toxicbellyfix.com, and they have a kind of probiotic product that contains Actazin, which is supposed to help heal leaky gut. Trying this product, I found it sooo soothing to my intestines. I’ve also been taking a good probiotic, and there is a difference. Also, my husband and I are trying Adrenal Charge, put out by Wellformative.com. I’m noticing that other such supplements are being offered by others. This does help normalize energy, esp. in stress times. I do not know re. the oxalates. Rob’s question re. adding the oil to the juice and your answer was a great help. I’ve discovered Parent Essential Oils (Amazon), Panaseeda oil (Activation.com), and Fresh Pressed Olive Oil (.com). What a difference in getting oils that are biologically friendly! Adding to protein smoothies is helpful. But to vege juices – oh wow! Great encouragement. I have a Vitamix and one advantage is that one can leave in long enough to heat some so as to eat as soup, which I like to do with swiss chard. As long as one wants to strain a fresh juice, the vitamix is also easier to get the veges into. And the machine can clean the container for you! Re. juicing with just some fruit was also helpful. So many times I’ve heard to juice fruits and that has left me feeling uncomfortable, precisely because of the amount of sugar in this or that form. To have that talked about is also very helpful and clarifying! Especially in this day in age of diabetic epidemic and compromised foods. The liver factor re. the triglycerides is new to me but helpful also. Thanks to Matt for bringing that up. As we get older it’s amazing how many factors juicing can help with! And Yuri, how many pitfalls you can help us with. Thank you for a wonderful and clear explanation why juicing works and why smoothies work. My husband has parkinsons dis-ease. When he drink his green juice in the morning he has a better day overall. If he skips two days he feels the difference in energy and mood both. You are doing a much needed job, doing it wonderfully well, with a sense of humor, educating us about eating how to healthy and enjoying it. You have a place in my heart and tummy. ich nichts finden. Kann mir Jemand helfen? Das Gerät soll nur Mlchshakes machen. not really a lot more smartly-favored than you might be right now. aren’t interested except it’s something to do with Woman gaga! here, but I thought this post used to be good. I don’t understand who you are but definitely you are going to a famous blogger should you aren’t already. Hi my family member! I wish to say that this article is awesome, nice written and come with almost all important infos. for? you make running a blog look easy. The entire glance of your website is excellent, let alone the content! generally people don’t discuss such topics. To the next! up is written by him as no one else recognize such unique approximately my difficulty. its up to other people that they will assist, so here it takes place. Why visitors still use to read news papers when in this technological world the whole thing is existing on web? C and E. When our body p – H ( becomes more and more acidic it starts to set up defense mechanisms to keep the damaging acid from entering our vital organs. Great post, but a frustrating read, due to the lack of proper punctuation in a lot of spots. Please close your quotations! If this article is following some sort of nouveau grammatical style, of which Iâ€™m not aware, I remain frustrated; nevertheless, I apologize. My spouse and i felt quite satisfied that Albert managed to finish off his basic research out of the ideas he grabbed from your own site. It is now and again perplexing just to choose to be freely giving guides which often many others may have been trying to sell. Therefore we fully understand we have you to thank for this. The explanations you’ve made, the easy website menu, the friendships your site aid to engender – it is many exceptional, and it’s making our son and us believe that the subject matter is pleasurable, which is certainly extremely important. Thank you for the whole thing! Thanks so much for clearing up the confusion regarding juicing. The amount of ridiculous misinformation out there is so frustrating. Your work on our behalf is making a big difference!